Mix all dry ingredients. Combine yolks and milk. Stir into dry ingredients. Stir in oil and mix. GENTLY fold in beaten egg whites, do not over mix. Pour about 1/2 cup at a time into waffle iron. So light and so fluffy! 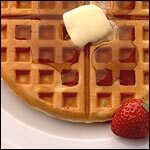 This is the best-reviewed waffle recipe on MrBreakfast.com. 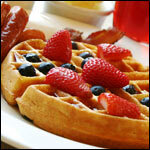 What do you think of Best Waffles Ever? View all 429 comments for this recipe. 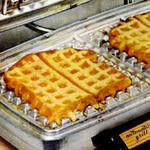 Best waffle recipe on the internet! I never comment but I just had too for this recipe. Best waffles ever! Okay as is. Add more sugar and might be perfect. These waffles are delicious. My whole family loved them and they are super easy to make. Made this today and we loved them. I made the recipe in half and added vanilla, cinnamon and more sugar. Best waffle recipe ever. Thank you! OMG!!!! I made these this morning for the first time and I was very excited. Need just a little more sugar not too much. Added vanilla, cinnamon and nutmeg. Thanks for sharing! 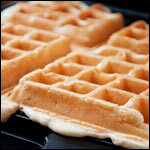 This is the ONLY waffle recipe you will ever need! Perfection. Was easy. Was delicious. Will make again. This really is the best ever waffle recipe! I also added a touch of vanilla extract but otherwise followed the recipe to the letter. 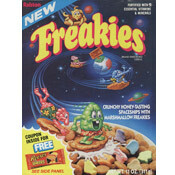 Everyone loved them, even my extra particular oldest daughter proclaimed them delicious. I'm putting them to the teenage sleepover breakfast test in a couple of weeks. Thank you. For best results, don't replace the vegetable oil with butter. Butter has water in it. When heated, that creates steam and that usually mean a soggy waffle. My go to recipe for waffles. Thanks Mr. Breakfast! Does anyone use butter instead of oil? I was surprised that NO recipes for waffles call for butter. Isn't it supposed to make the waffle crispy and more delicious? Wow - it really did work! Superb results. Thanks big time.